Neutron, a new entry into the booming energy drink category, needed a unique and graphic look to jump off the shelves. An atomic looking approach captured the feel and look of the drink. 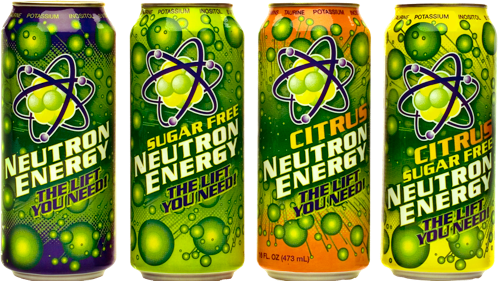 Neutron came in two flavors and each flavor was offered in regular and sugar free.